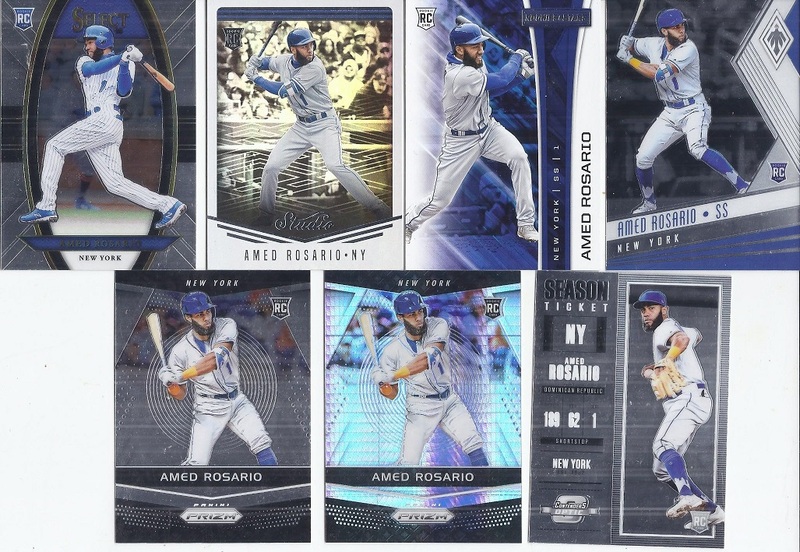 Step 1: Buy the Mets in a case break of 2018 Panini Chronicles. 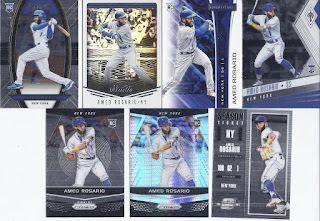 While you will get the expected base, there is enough variety in the sets encompassed in it that there will be a lot more as well. Enough that Chronicles posts will be a perfect break from the Rookie Anthology posts. After all, here's Amed in Score, Classics, Limited, Spectra, Illusions, Crusade, and Status form. Not enough? How about Select, Studio, Rookie and Stars, Phoenix, Prizm (*2) and Contenders. 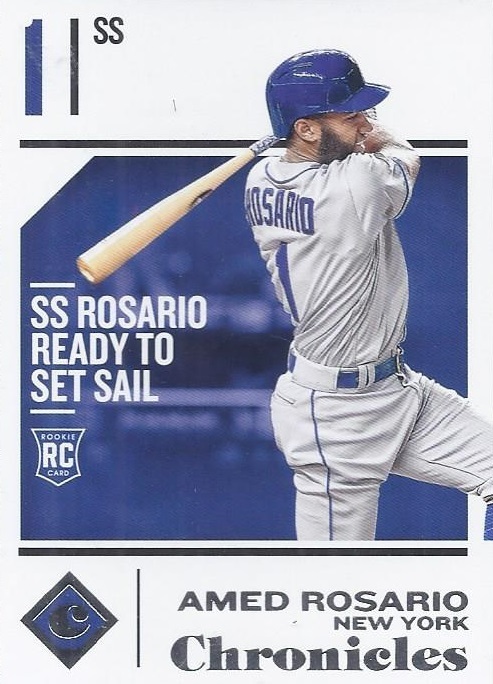 Numbered parallels? Sure, there were some of those as well. 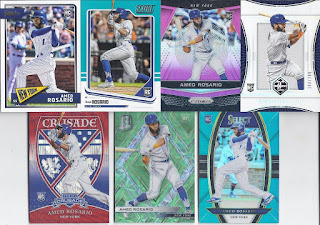 Of those not numbered on the front, the Prizm is /25, Crusade is /199, Spectra is /49 and Select is /299. Relics? Sure thing, with 3 swatches worth on this loud /99 card. 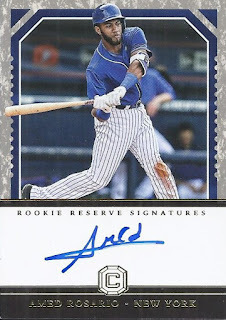 Cornerstones makes its first appearance in this post with an autograph, on-card and numbered /99. Finally, if you're a "Why not both?" type of person, here's both hits worth of the previous two cards combined into one. 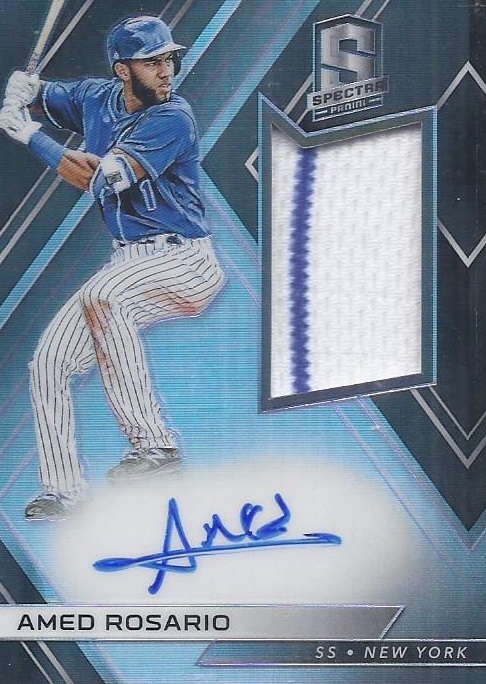 While this isn't numbered, that's a really nice pinstripe. 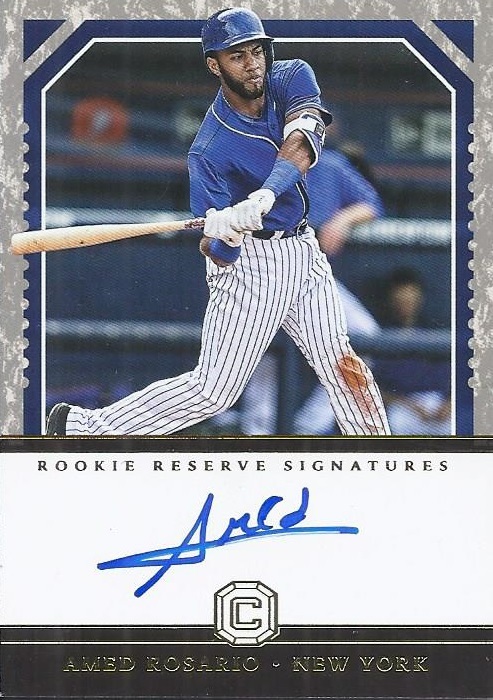 While Amed does only use his first name for the autograph, at least the letters Amed uses for his autograph are all legible. 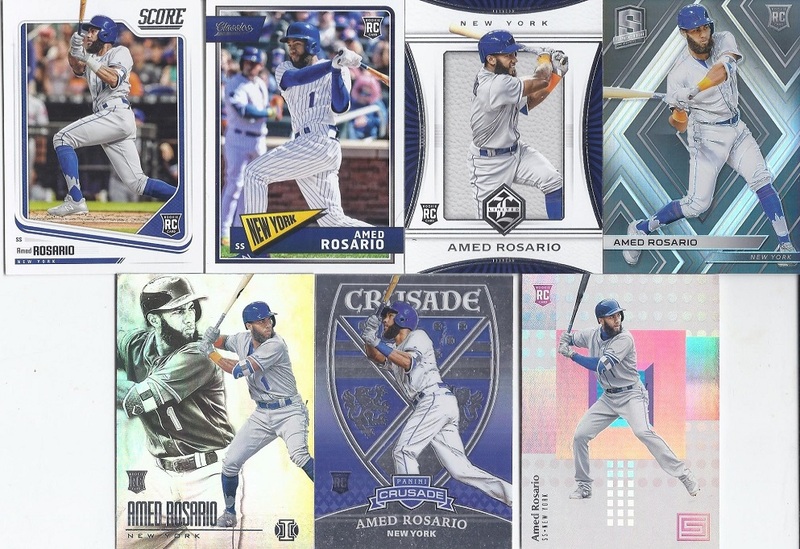 And that's just the Amed Rosario content from the break. 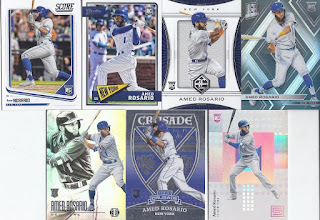 I still have more Chronicles Mets to show off in the next post. 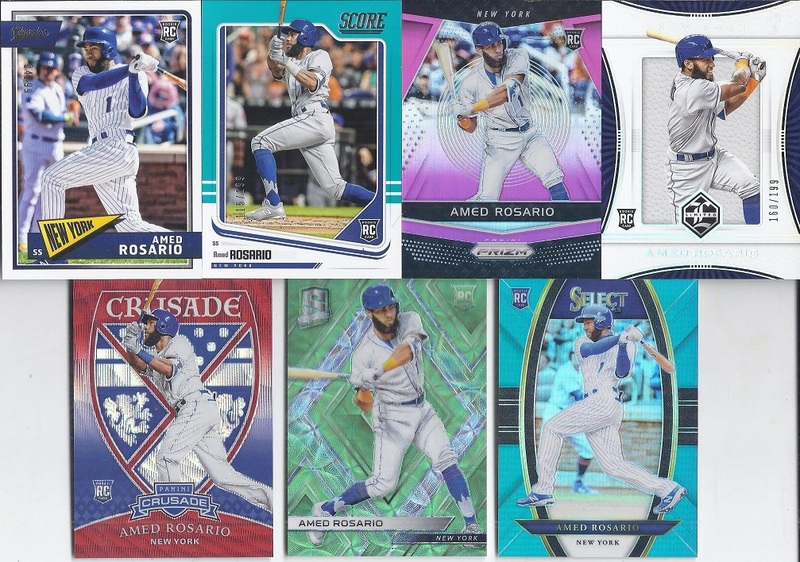 The Aqua Select is a gorgeous card. I'm loving Chronicles this year. You did well on this break!